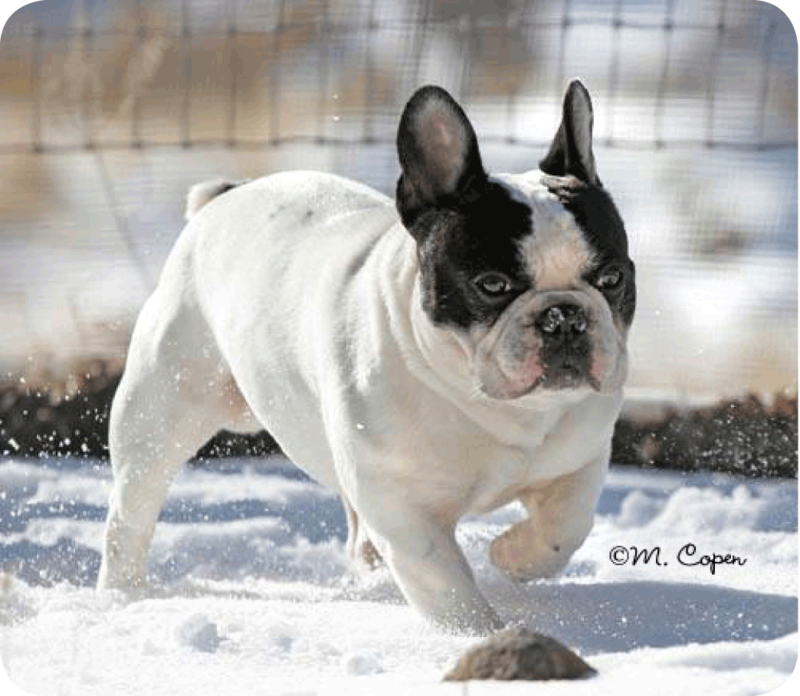 Penny came into the Nevada Frenchie Resuce at age 3. She was surrendered to us by her owners. Penny was ill from the day she was purchased from the pet store by her previous owners. 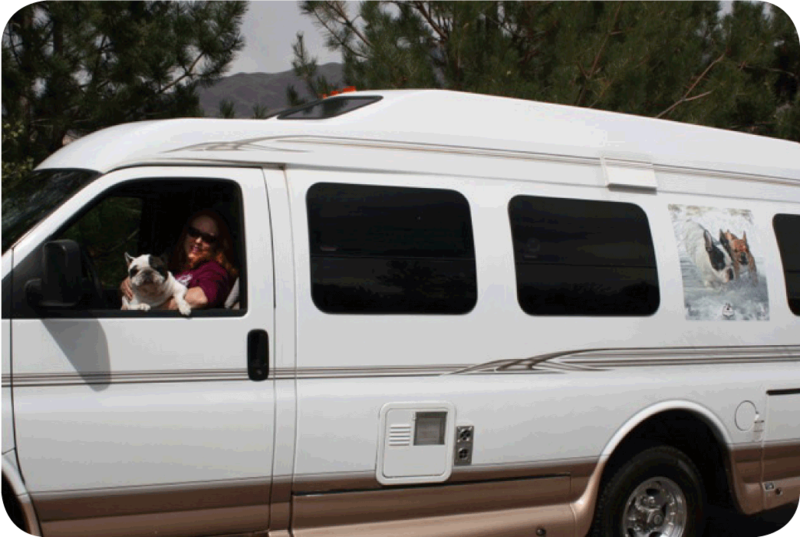 Due to chronic illness, Penny is suffering from stress-induced cataract in her right eye leaving her with no vision in that eye. At such a young age, Penny could significantly benefit from cataract removal. The eye surgery is very expensive so we are having a raffle to help offset expenses for the surgery. 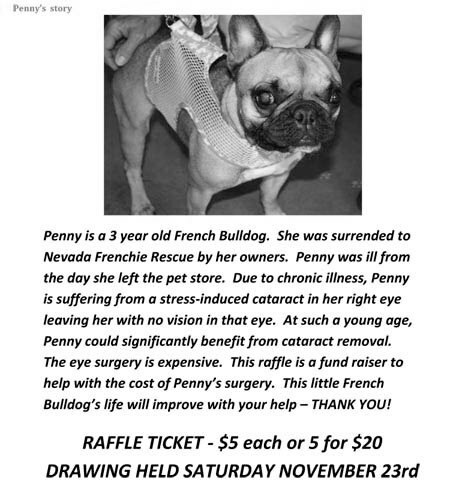 Nevada Frenchie Rescue is offering a fund-raiser to help with the cost of Penny's surgery. Thank you for helping. Any little bit helps.